It was nearing midnight in Jakarta on 3 September 1962. A bunch of Indian footballers were strolling on the lawns of the Asian Games Village. Charged up, adrenaline flowing in anticipation of India’s gold medal match against South Korea on the morrow, most of them had found it difficult to sleep. The Indians had lost to the skillful South Koreans 2-0 in their first league match. Peter Thangaraj, PK Banerjee, Chuni Goswami, Tulsidas Balaram, Jarnail Singh, Arun Ghosh — all legends in their own right — and a few others who were around their coach, fondly known as Rahim Saab, were stunned by his words. A no-nonsense coach, who had technically and strategically dissected South Korea’s game in a team meeting earlier that evening, had let his emotions get the better of him. Canny as he was, in that unguarded moment, Rahim had walked away to make sure that his boys didn’t see him teary eyed. India had earlier beaten Thailand 4-1 and Japan 2-0 at the league stage and then got the better of South Vietnam 3-2, in an energy-draining semifinal encounter, with Goswami scoring a brace and defender Jarnail Singh too getting into the act. At the Senayan Stadium next evening, in front of 1, 00,000 spectators, India beat South Korea by the odd goal in three. Banerjee struck in the 17th minute and Jarnail Singh — who was India’s defender — cleverly played in the forward line because of an injury, paid back the trust reposed in him by his coach, scoring in the 20th minute. The shell-shocked Koreans could only get one back on the scoreboard in the dying minutes of the game. Those who watched that epic final swear by the fact that it was one of tactical finesse and Rahim Saab’s signature moves befuddling the world-class players from South Korea. The Indian boys had played their hearts out to give their beloved coach a ‘farewell gift’ — unknown to them then — befitting his genius. Nine months later, on 11 June 1963, Rahim breathed his last at his Hyderabad abode. He was only 54. One of the finest coaches of his time, he had had lung cancer; something that he had not revealed to his charges that September night in Jakarta. Rahim was a man ahead of his times. The ‘Golden Age’ of Indian football, from 1951 to 1962, not surprisingly coincided with his tenure as coach of the Indian team. 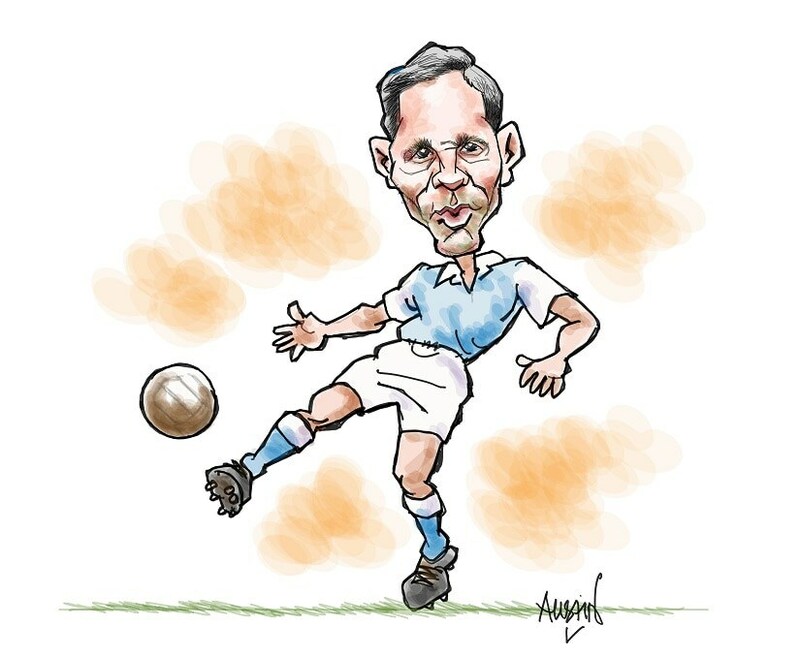 At a time when most teams the world over played with the WW formation or what is numerically known as the 2-3-2-3 system and then shifted to 3-3-4 in the mid-1950s, Rahim introduced the revolutionary 4-2-4 formation in Indian football. His tactics of a forward, who withdrew to the half-line to create moves and an extra defender, who overlapped into attack, were later adopted by western clubs. Rahim Saab had studied the playing styles of most European teams, especially the Hungarians. He had therefore adapted their methods and tactics to suit Indian players and conditions in the sub-continent. Many FIFA officials believed that India, under Rahim, was as good as any other Asian nation in football. However, on his death bed, in 1963, Rahim had warned Indians to be wary of teams like Japan, China, the Koreas, Iran and a few others who were catching up with world standards. It did not take long for Indian football to lose its foothold in Asia after he passed away. Today, India does not find a place in AFC’s top ten rankings! 'Encyclopedia' of Indian football, Novy Kapadia believes that the three most memorable football matches ever played by the Indian team were under the tutelage of Rahim. Besides the Asian Games final of 1962, in which defender Ghosh and forward Balaram too played stellar roles, he recalls the India-Yugoslavia semifinal at the ’56 Games also as one of the finest. After a blank first half, Neville D’Souza had scored for India. The European team then scored three goals — helped along by an own goal by an Indian defender — to win 4-1. Kapadia says that the ’60 Olympics match against Hungary was also an epic, with the ‘Magnificent Magyars’ struggling to beat the Indians by the odd goal in three. In that match the three Indian forwards, Banerjee, Balaram and Goswami had literally toyed with the world-class Hungarian defence only to be fouled every now and then. Rahim was born in Hyderabad on 17 August 1909. A teacher by profession, who had a special passion for football, he was Hyderabad Football Association’s secretary from 1943 to the day he passed away. Though he was responsible for making the Hyderabad City Police team one of the finest in the country, he enjoyed working at the grassroots level. Old-timers say that Rahim was so perturbed by the long ball passes of the British teams that he devised non-dribbling events for young football enthusiasts so that they would learn to pass the ball and run into empty space to receive it back. Indian football has always been a hotbed of regional politics. Post-Independence, Balaidas Chatterjee, a football official did not make it easy for Rahim to take charge of the Indian team, as coach, despite the fact that the latter had helped India win the gold medal at the inaugural Asian Games, in New Delhi, in 1951. However, it was only after the Indians were thrashed 10-1 by Yugoslavia in the ’52 Games that Rahim was allowed to mentor the team on a long term basis. He then set about forming an Indian team from scratch. Between 1952 and 1955, under his guiding hand, India won the quadrangular Colombo Cup four times, besides playing brilliantly in the Merdeka Cup. In the ’56 Games in Melbourne, India beat Australia to qualify for the semifinals and then finished fourth. There is an interesting anecdote of how the team for the Melbourne Games was selected. In the Santosh Trophy final of 1956, Hyderabad had beaten Bombay 4-1 in the final. Rahim had therefore insisted that a few players from Hyderabad be included in the team, while Dutta Ray, the AIFF president had refused on the premise that Hyderabad would have lost if Bengal had played the final. A tough nut to crack, Rahim had suggested that a match be played between Hyderabad and Bengal before the team was finalized. Hyderabad crushed Bengal 3-0 in that match, at the BNR Ground, and Rahim was given the team that he wanted. Rahim’s son, Hakim was a member of the 1960 Indian squad that played in the Rome Olympics. The Indian coach selected his playing eleven on merit and therefore Hakim was often overlooked. An international referee and a coach of great renown, I was fortunate enough to watch Hakim’s coaching acumen and tactics from the opposition bench, when he was in charge of the Mahindras’ team in Mumbai. A hard taskmaster, he was a great football strategist who carried his father’s legacy forward but probably wasn’t half as good. I am happy that a childhood friend and bench-mate of mine in school, Boney Kapoor, is planning to produce a biopic of the legendary coach. 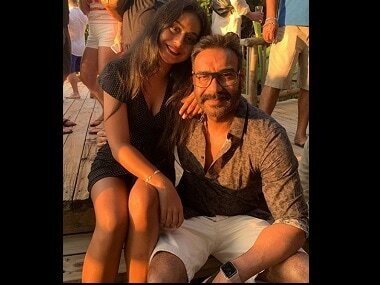 Ajay Devgn is to play the lead role. Though the Government of India and the AIFF have been tardy in recognising Rahim Saab’s contribution to Indian football, I hope the biopic will do justice to his genius. The movie is due for release in the end of 2019; it will be well worth the wait. The author is a caricaturist and sportswriter. A former fast bowler, he was also a cricket and football coach. For a few years, he was president of the Mumbai District Football Association too.